Chairman Donna Nelson announced Thursday that she will retire from the Public Utility Commission of Texas, ending a nine-year tenure. The Public Utility Commission of Texas will soon lose its chairman. Donna Nelson, who has sat on the three-member commission since 2008 and chaired it since 2011, announced her retirement Thursday at an open meeting. 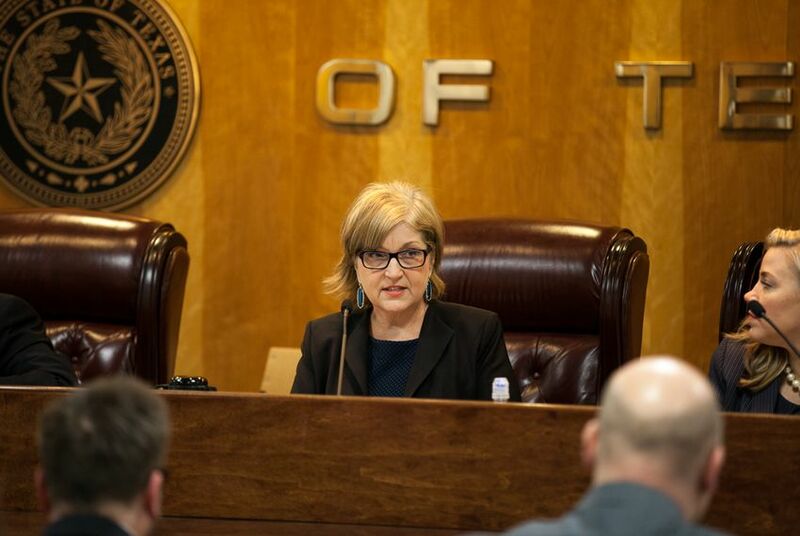 She said May 15 will be her final day on the commission, which oversees electric, telecommunication and water and sewer utilities across Texas. “You have left a distinguished and wonderful mark on this state with your service,” Commissioner Brandy Marty Marquez told Nelson on Thursday. “I’m not dead yet,” Nelson joked. A South Dakota native, Nelson grew interested in legal and regulatory issues early, after working in Washington in the late 1970s for one of her home state's senators, Larry Pressler, before a cousin in Houston persuaded her to move to Texas, where she attended law school at Texas Tech University. Texas Republicans and fossil fuel champions celebrated an executive order signed by President Trump aimed at curtailing Obama-era climate regulations, calling it a win for utility customers and the state economy. Texas GOP chairman Tom Mechler, an Amarillo oilman, insists that he wasn't lobbying when he asked the state to intervene in his clients' dispute with a pipeline giant.